If you're a highway construction worker who frequently works at nighttime after the rush hour commute, just when the sun is about to set, you can relate to how harsh the working conditions can be. Cars whizzing by, boiling asphalt being poured and work areas lit up by stark overhead lights offer plenty to talk about during huddles and safety briefings prior to starting the night shift. 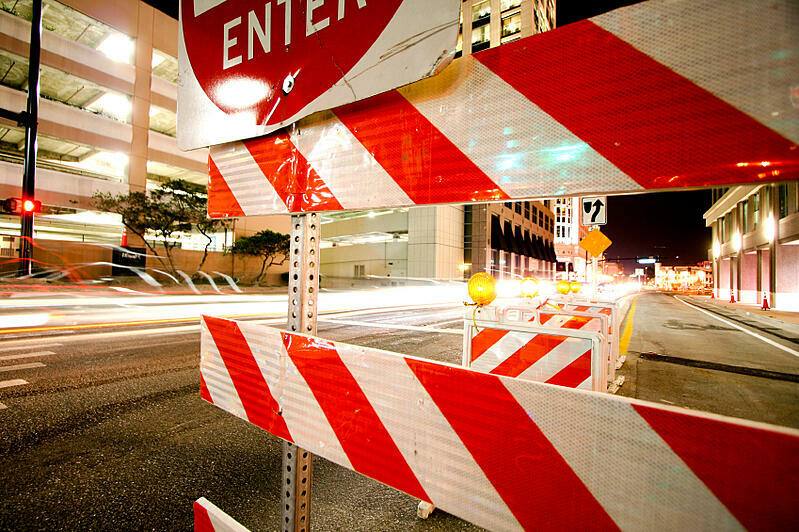 I know from experience because I was recently called in by a major construction company to help solve a glaring problem that was putting highway construction workers, just like you, at risk. The problem I was asked to solve involved glaring on workers' safety eyewear. Because of bright headlights from each passing car and bright overhead lights, these workers had been complaining of glaring on their safety glasses impairing their vision. Glare from the various light sources created spotting on the lenses which caused the workers to become disoriented and temporarily blinded, also known as night blindness. When this issue was brought to our attention, ORR Safety provided a solution. We now offer a lens technology that allows necessary visible light transmittance and eliminates harsh glare from overhead halo lights and headlights. These XP Ice Blue lenses minimize spotting in the eyes caused by continual exposure to bright lights. For the construction company I was working with, XP Ice Blue lenses are now required Personal Protection Equipment (PPE). 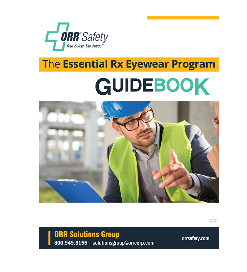 The Essential Rx Eyewear Program Guidebook! With specialized safety eyewear, it helps to have experienced professionals guide you through all the options. Lenses and frames that are right for someone else may not be right for you. If you have an especially challenging environment that's calling out for effective eye protection, you might need a safety program that goes beyond traditional one-size-fits-all PPE. CLICK HERE to learn about building a Total Vision program.